This meme really struck me. This is a truth I didn’t even realize was in front of me. 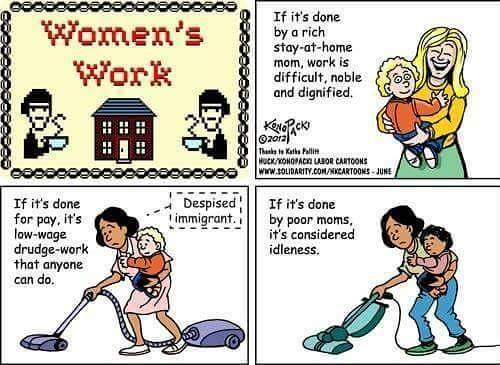 How we view affluent women vs. the working poor. White women vs. women of color. Same job with different circumstances results in a different outcome in society.